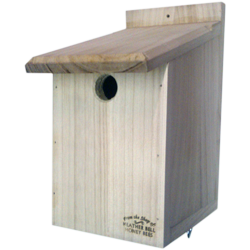 Fully assembled and complete with large screw vine eye for securing to a tree, post or fence. External woodwork is 19mm solid untreated timber. 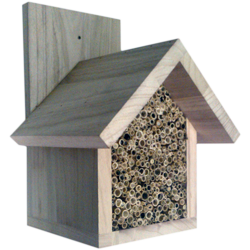 A natural weather proofing of Linseed Oil & Beeswax is recommended to keep nest boxes dry. 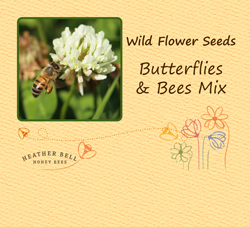 This is the perfect addition to any beekeepers or bee lovers garden - a must have for anyone wanting to help beneficial bees and insects. 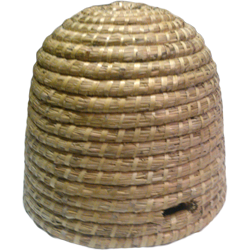 It is also the perfect alternative to keeping a hive of honey bees - no knowledge or labour is required. There is as much pleasure and learning from watching the activities of solitary bees as from keeping honey bees and solitary bees are totally benign - so this is beekeeping without the sting. 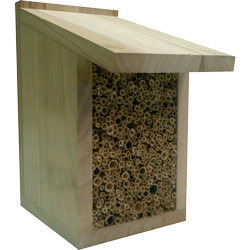 The hive is designed to attract the many different species of nesting solitary bees that are important pollinators in our environment. Mason bees, Leaf Cutter bees and Wool Carder bees are just some - there are over 200 species in the UK so identifying them all is a project in itself. Solitary bee nests need the heat of the sun to incubate their young so position the Solitary Bee Hive and Insect Hotel in a sunny place. It will also provide nesting sites and hibernation homes for many other beneficial garden insects.